To protect your energy.... It’s okay to cancel a commitment. It’s okay to not answer a call. It’s okay to change your mind. It’s okay to want to be alone. It’s okay to take a day off. It’s okay to do nothing. It’s okay to speak. 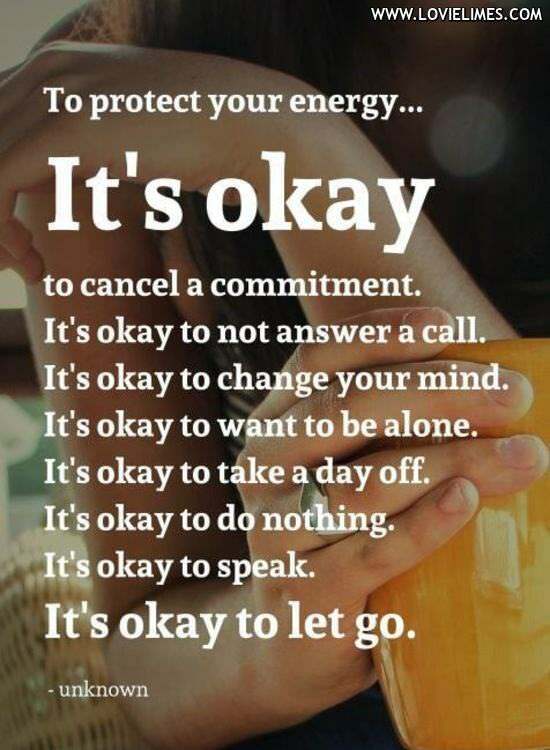 It’s okay to let go.